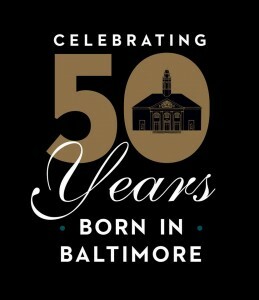 “Shriver Hall Concert Series is delighted to kick off its 2015-16 ‘Born in Baltimore’ commissioning project with James Lee III’s Piano Trio No. 2, “Temple Visions“. Pianist Jon Kimura Parker offers further insight from the performer’s perspective. “‘Temple Visions’ is an exciting work for many reasons – firstly as it is the first commissioned work to be performed by The Montrose Trio. It’s thrilling for us to add innovative new works alongside the more traditional repertoire of masterworks by Beethoven and Brahms. ‘Temple Visions’ challenges each of us on a high technical level. Each movement has a distinctive character: ‘Internal Conflict’ pits us against each other in places, yet unified thematic ideas permeate all of our parts. ‘Galactic Districts’ is fleet and quick, like a snapshot of another world. My personal favorite, ‘A City Mourned,’ features a soaring opening for solo cello. ‘Final Resolutions’ is a rhythmic tour-de-force and recalls ideas presented earlier. In many ways the parts are so muscular that it feels less like a chamber trio and more like a triple concerto.” Subsequently, The Montrose Trio continues its tour to Philadelphia’s Kimmel Center on October 27, and to the Seligman Center for Performing Arts (Detroit) on November 14. More Lee in Baltimore: On October 21, clarinetist Allison Yacoub joins Lee — as pianist — for the world premiere of the composer’s chamber piece Ad Anah at Morgan State University’s Murphy Fine Arts Center.